We love hearing feedback from our clients! 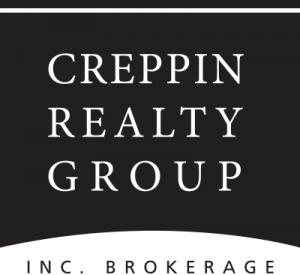 I can't say more good things about Creppin Realty Group. Over the past (almost) 20 years, I have had the pleasure of dealing with Pat Creppin and his associates for a few home purchases and sales and each time they have made sure that the time and effort was put in not just to find a house that fit the bill but rather a place to call home. When it came to the sale of our home, from the staging to the professional manner in which the negotiations were held, Creppin Realty Group made the process worry free and comfortable to go through. We all know that buying and selling a home is one of life's biggest events and as such can be one of the most stressful but with Creppin Realty Group in your corner that becomes a pleasure rather then something to endure. Our highest recommendations go out to the whole team at Creppin Realty Group for anyone looking into buying or selling a home! It is rare to work with a team in which every member is interchangeable in their competence and professionalism and I am thrilled that my real estate experience was such a positive one. I am proud to call myself a Creppin alumni!